We are happy that the 90-years anniversary Pilot Chronograph with the 7750 TOP Tricompax will be finally available for purchase during April. The rotor is specially designed for this edition. The steel hands are Ickler made heat blued. This anniversary chronograph is limited to 50 pieces. Pre-orders / reservations can be made by email (info@ickler.de). The price will be EUR 2.200 (incl. VAT), 1.848,74 (without VAT). 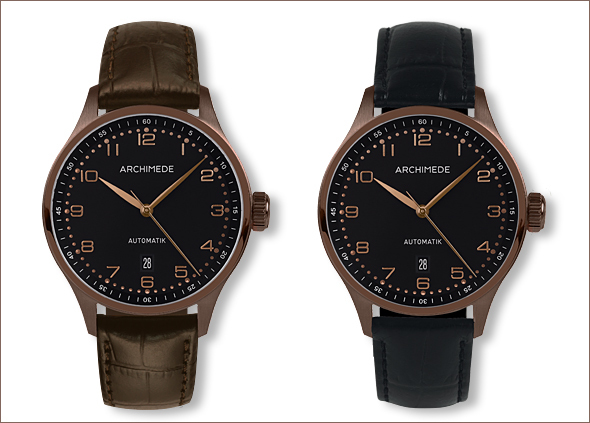 Bridge and Barrell did a great review of our award-winning ARCHIMEDE Pilot Chronograph. 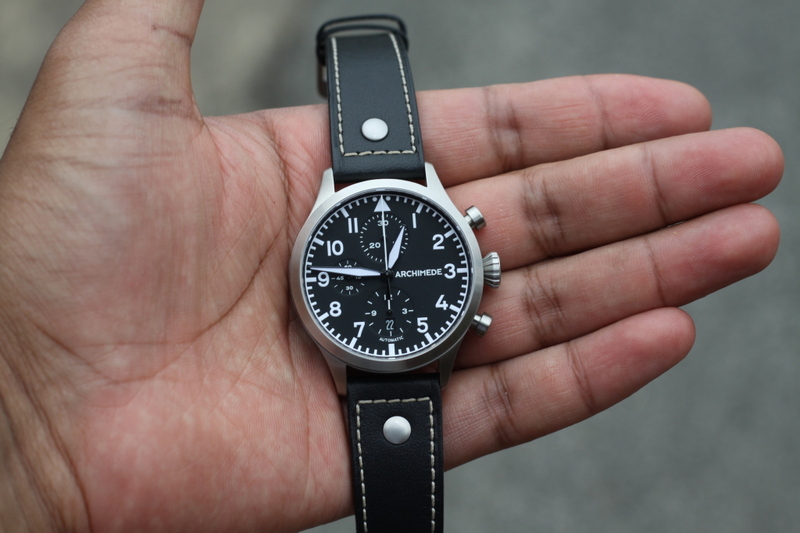 Classic design and engineering precision come together in this outstanding pilot’s chronograph. 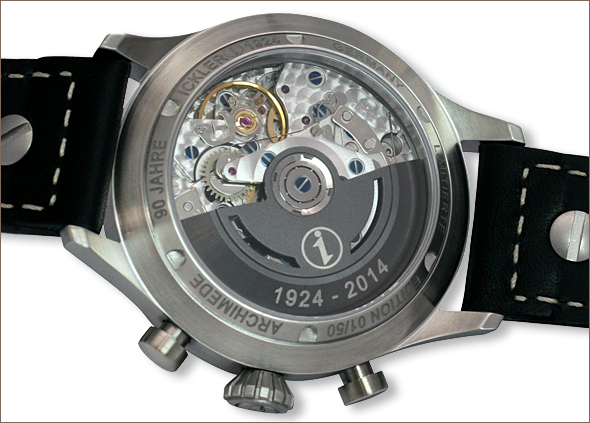 The movement is the rugged, yet highly accurate, Swiss-made ETA 7750 automatic. 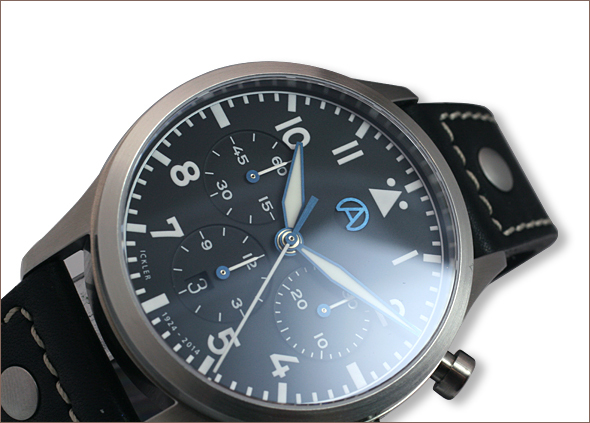 The finely crafted three-piece stainless steel case is available in either finely brushed or black PVD finish.